Description: Send season's greetings and best wishes for the New Year with this fun 3 Cheers For Us photo card "Imagitation." This design features three separate photo boxes bordered in olive green and brown against a solid band of aqua blue. The band of aqua is then bordered by olive green scallops and wide chocolate bands. Card measures 7.5" x 5" and can only be horizontal. 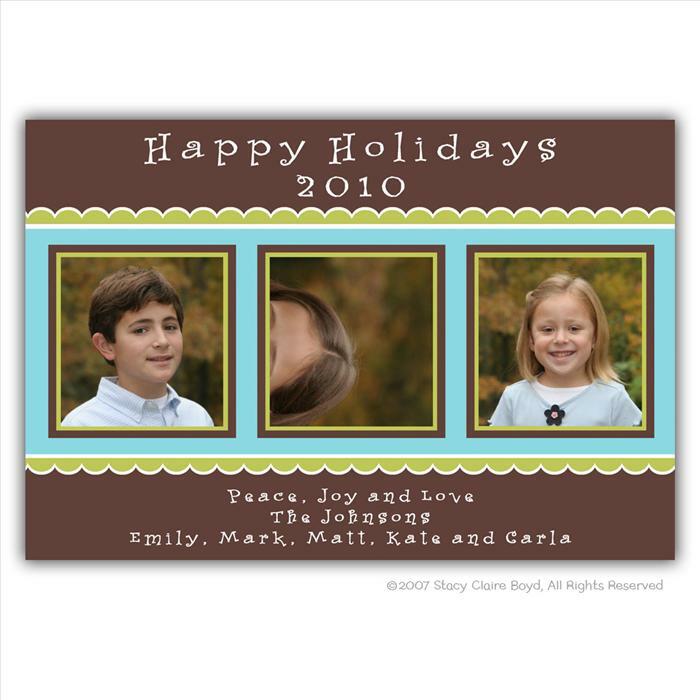 Price includes up to 8 lines of text (extra lines are $5.00) E-mail your picture and message. You will see a proof before printing. Matching return address sticky or printed return address is available.